Here at The Soap Opera we don’t cut corners, we clean them! We offer regular domestic cleaning on daily, weekly, fortnightly and monthly intervals at an excellent price. All professionals are fully vetted, experienced and very hard working. Your home is always cleaned by the same trained professional and they come on the day that suits you best. 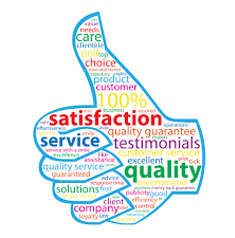 Your satisfaction is of the utmost importance to us hence we will often ask you for your feedback. Our regular domestic services extend throughout central Southampton and surrounding areas. If you are unsure if we cover your area, please email or phone us and we will be more than happy to help! Yes we do have extras which we are proud of. Stairs, hallways and other living areas need to look great too. Why Choose The Soap Opera for Your Domestic and Home Cleaning ? We bring a fresh approach to domestic and home cleaning in Southampton. We train our cleaners in-house to ensure they provide you with an extremely professional service. Not only do we train them in the art of professional cleaning, we ask them to respect you and your home. A smile from our team is not trained though, they actually love their work. Our team is also fully insured and they come to your home with all the products and equipment they will ever need to do their work. We love cleaning but love keeping our clients happy even more. To do that, we have invested in our trust and credibility in our community. After all, you are leaving us in your home and you expect it to be just the way you left it, only a wee bit cleaner. We guarantee quality at unmatched pricing. Our pricing is customized to your needs. We do not have a problem negotiating and giving discounts especially to our best customers. The best part about it is we invoice you only after you are satisfied with our work. Last year we had over 100 cleaning contracts completed and this year we are going to have more done. Our biggest disappointment is a call from a client when we are fully booked. We urge you to book now and book early to avoid disappointment. 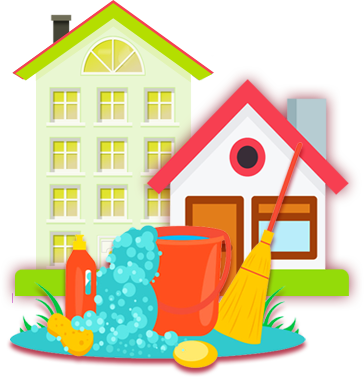 You can fill out the form below to get a quote for customized domestic and home cleaning services. If you, prefer you can call us today on 023 8008 1008. Ask for Iwona, I’ll only be too happy to help you. If you are not satisfied with the work we do for you, we’ll come back and clean up again. All you need to do is tell us why you are not happy and we shall gladly come back and take care of you. We know how much you care about a clean home and we will make sure you get what you need. How did you hear about us?WEB SEARCHLEAFLETRECOMMENDATIONBANNERVANFACEBOOKOTHER.. The Soap Opera is one of the leading cleaning companies in Southampton. Our company provides both domestic and commercial cleaning service at the best price you can get. We cover the whole Southampton area and surrounding areas.